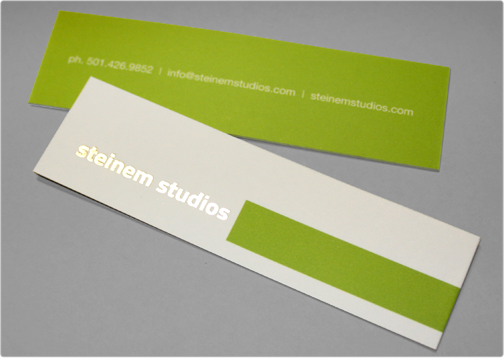 The Steinem Studios Silk Card features a very slim cut design, adding a modern, edgy feel. The company name is stamped in silver foil. 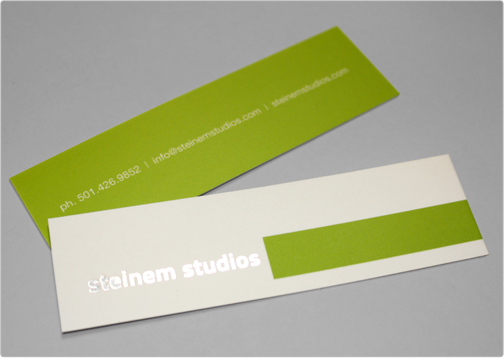 Specs: 3.5"x1" 16pt silk bc/ silver foil 1 side.